In his regular Tuesday column in the daily newspaper "Dnevnik", Professor Ljubomir Frckoski, a former Minister of Interior and provocative opinion-maker revealed information that left nobody in the country indifferent. 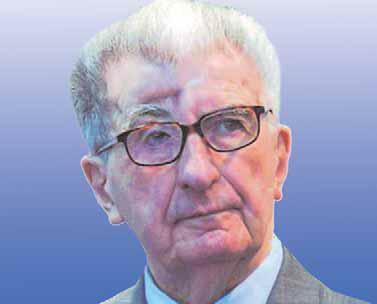 In the short text entitled "Banality of Evil", Professor Frckoski said he had been recently contacted by a person who shared with him new information concerning the attempted assassination of the first Macedonian president Kiro Gligorov on October 3 1995. The new "witness", presently employed with a private company, worked at the time of the assassination for the so-called 7th directorate of the Macedonian secret services (DBK). He was directly involved in the events surrounding one of the most traumatic events in recent Macedonian history. He told Frckoski, who at the time served as Interior Minister, that he suspected people from inside DBK to have been involved in the attempt on the president's life. The column echoed like a bomb; much like that bomb from 13 years ago. President Gligorov was nearly killed on his way to work when a car-bomb exploded as his vehicle drove through the centre of Skopje in autumn of 1995. Gligorov lost an eye and his survival was close to miraculous. His driver and bodyguard were both killed. A photo taken a day before the assassination, allegedly by a German tourist, showed a white Citroën Ami 8 car, which contained the explosive, parked in front of hotel Bristol in the very centre of town. In the subsequent investigation, DBK agents event went to Germany to look for the German citizen. He was never found. Now, Professor Frckoski reports that his witness claims to be the "tourist". "I am the one who took the photo showing the Ami 8 in front of the hotel the day before the assassination", Frckoski quotes the testimony of the former agent, " A DBK official ordered me to take it; we were taking dozens of photos each day. He did not tell me why. I gave him the photos and the negatives and forgot about it. But when the photo appeared in the press with the explanation it has been made by a German tourist, and they went to look for him in Germany, I was petrified. How will they find him in Germany when he is here? I wrote a note on this to the supervisors, but it later disappeared. It is not in the file on the assassination." Frckoski also writes that the witness told him that the Ami 8 had been procured by a DBK official. "Professor, those who gave me the instructions, I know them by name. I recognized the person who bought the Ami 8, from the photo-robot of an alleged suspect, made by the police, he is a DBK official and a colleague of mine, who incriminated himself by saying he bought an Ami 8 for his cousin from Aleksinac Serbia. He said this in front of me. This is a special DBK action. It is known who ordered it and without whose knowledge it can be ordered." Frckoski concludes in his column that "this explains why foreign secret services did not have information on the assassination." That is to say, because it was "cooked" at home. The accusation shocked the public and provoked a furious response by the Ministry of Interior. Spokesman Ivo Kotevski said if Frckoski did not stop using such serious issues for his personal amusement, he would be called in for questioning. With more calm, Public Prosecutor Ljupco Shvrgovski, stated the prosecutor would talk to Frckoski to assess the relevance of the new information. "At this point we don't know what we will get. But if we get new relevant information, we will certainly act on it," said Shvrgovski. The very next day, Frckoski reported to the prosecutor where, according to the media, he shared the information he had and the name of the new witness. "This is all I can do," he said briefly to the press, "to share what I know." By the next day, according to the media, the Prosecution also had a written statement by the witness, and planned to interview him the following week. The Minister of Interior, Gordana Jankulovska, met with Prosecutor Shvrgovski to coordinate action. No one wanted to share more details. "This is an open case for us. Whenever we have new information, regardless of its source, we verify it automatically," Jankulovska said. In the 13 years since the assassination, the investigation never advanced. Different leads took the investigation in various directions. Different people were considered potential suspects, but nothing tangible ever resulted. Many people involved in the case, as officials, possible witnesses, or suspects, died over the years. The list, according to the media, includes former Public Prosecutor Marko Bundalevski, former DBK director Dobri Velickovski and investigative judge Zdravko Vasilev. According to reporters who followed the case more closely, some of the people involved in the assassination died under unclear circumstances. A police stenographer, Tanja Pavloska, was found with a bullet in her head near the Ministry; the gun was never found. The three policemen who drove behind the president's car on the day of the assassination are all dead; one died in a car crash, the other was run over by a train; the third died of a heart attack reportedly because of post-traumatic stress. Experts agree Frckoski is not an accidental choice of confessor for the witness. As the Minister of Interior, he was directly responsible at the time of the assassination. Following the assassination, Frckoski handed in his resignation but Prime Minister Branko Crvenkovski did not accept it. Many say the whole thing is a political manipulation. Former public prosecutor Stevan Pavleski says these types of witnesses are always problematic. "They always have some motive when they report something like this." However, in his view, if the witness proves to be telling the truth, then the old hypotheses that the assassination was prepared abroad will finally become invalid. Another former Minister of Interior, Pavle Trajanov, accused Frckoski of "constructing things with previously known facts." "He has got things mixed up. He was the minister back then and he made mistakes, which made the assassination stay unresolved.... now he is constructing things with previously known facts. He should explain why he ordered the immediate removal of the President's Mercedes and the crime scene cleansed half an hour after the explosion." Trajanov further accuses Frckoski of not having investigated the close ties, at that time, between Serbian and Macedonian military intelligence. "He should also explain why he never investigated the theft of explosives and detonators of the same type used in the assassination, from Macedonian Army storage," continues Trajanov. In Trajanov's view, a big chance to resolve the assassination was missed when Macedonian authorities did not request cooperation with Serbian authorities during the operation "Sablja" following the assassination of Serbian Prime Minister Zoran Djindjic. That was, in his view, the most relevant direction for the investigation. Former President Kiro Gligorov, who turned 90 last year, did not want to comment on the new revelations.